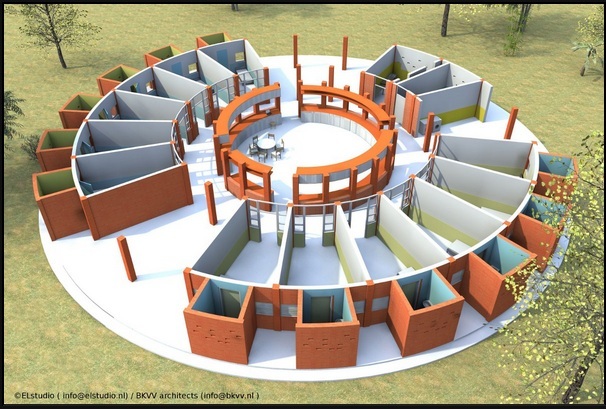 According to Afritecture "...Hospices in the southern African country of Zambia are few, particularly outside the capital of Lusaka. 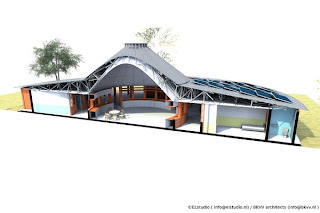 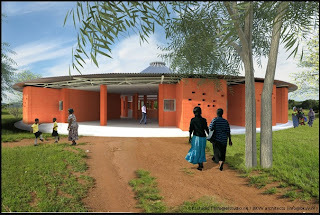 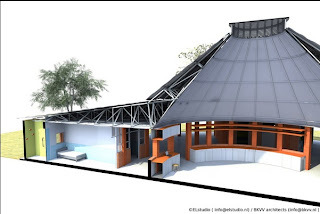 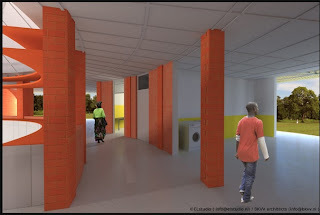 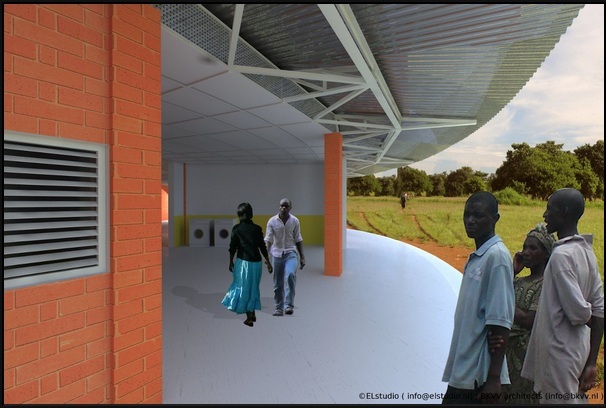 In Chipata, population 98,416, and the capital of the Eastern Province of Zambia, the architectural duo ofELstudio and Blok Kats van Veen Architects (BKVV) were tasked by Foundation Chipata with designing a hospice that would not only relieve some of the distress of caring for the terminally ill, but also introduce a low cost and solution that could be easily replicated at low cost. 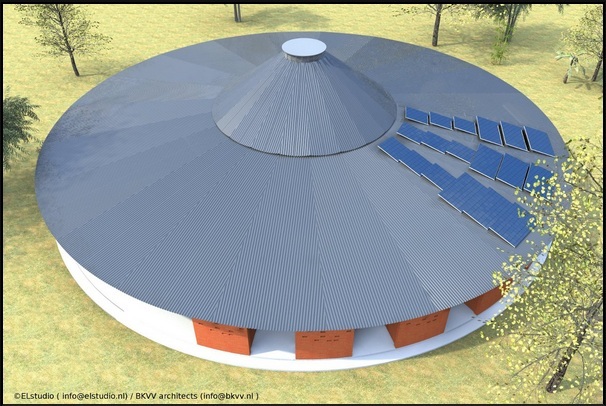 The project was designed to provide a comfortable stay for 24 patients, expandable to 48 people, and with a CO2 footprint smaller than an average European household. 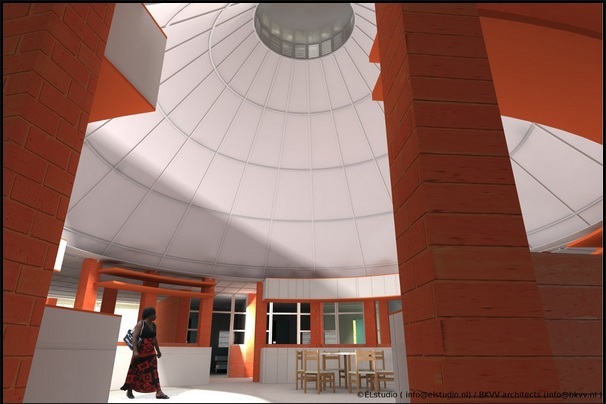 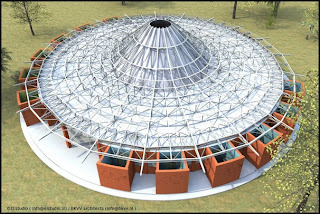 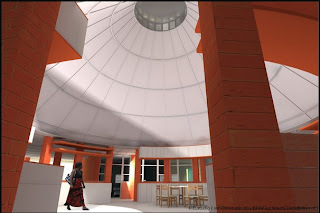 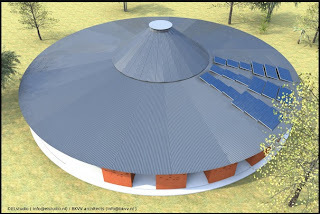 The building is designed as rotunda, reminiscent of traditional huts, and organized around a central core of staff spaces and storage of medications and resources. 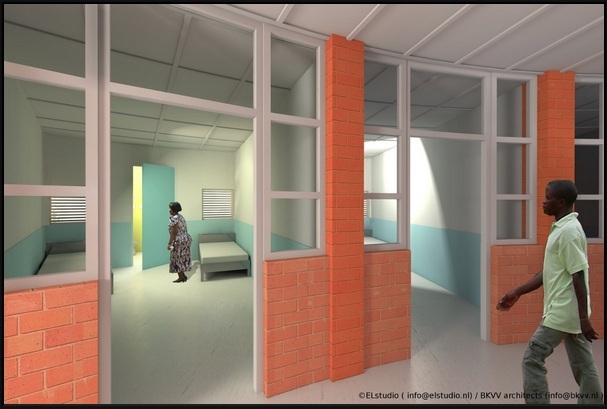 Around it are twelve bedrooms, all visibly accessible from the central nurse station, and which can be extended yet again with extra rooms, connected by a wide circular corridor, which serves dual duties as the main circulation and providing space for family and visitors..."